I predicted that in 2011, we would see people using their mobile devices as their primary way to access content applications and data. I found my first evidence of this just a few weeks later when I took a picture of my co-worker using his smartphone while sitting at his desk. This prediction has become a reality. Perhaps not as much for smartphones but certainly for the iPad. Many of us started bringing the iPad - and just the iPad - to meetings, conferences and business trips and this trend continues to grow with every additional iPad sold. I have further predicted that the content management vendors will start building their apps with the “mobile first” principle. This too I see happening now. Many content management vendors now offer mobile apps and increasingly, I am seeing capabilities developed for mobile devices first. In fact many apps are only really valuable when used on mobile devices - file sharing, note-taking, social media, etc. OpenText Tempo is a good example of such an app - secure document sharing and synchronization between multiple devices built as “mobile first”. Back in January, I predicted that in light of free alternatives, Microsoft would lose its dominance over the office productivity applications. In the course of the year, there has been a lot of Microsoft bashing in the media and indeed, Microsoft is increasingly seen playing defense rather than offence. Google Docs is probably the most tangible threat and I see increasingly people using Google Docs (BTW, I’m writing all my blog posts in Google Docs). However, it would be too soon to declare victory for Google Docs or any other Office alternative. In the enterprise, little has happened this year and Microsoft Office remains strong. I’d say that I was simply wrong on this one. My prediction was that in 2011, the excitement around eDiscovery would fizzle away the same way the Sarbanes-Oxley problem has eventually dwindled after a lot of initial publicity a decade ago. Sure, the problem of presenting electronic evidence upon a subpoena isn’t going away. The Sarbanes-Oxley Act didn’t go away either, even if Senator Paul Sarbanes announced his retirement a few weeks ago. But time has taken the mystery out of the problem and most companies have figured out what they need to do and have moved on to solving the next set of problems. That was my prediction and I maintain that it happened. The problems of the year 2011 included anything from social business and mobility to analytics and big data. eDiscovery isn’t that hot anymore. My next prediction was related to content security which made headlines when Wikileaks published sensitive government information and pre-announced that the banks would be the next target. This issue has created plenty of concern and publicity, particularly in situations where the weak link wasn’t an external attack but an internal leak instead. In the course of 2011, Wikileaks itself has gone a bit quiet with Julian Assange busy fighting his extradition case instead of stirring up trouble. However, the insurgence of the Arab Spring of 2011 has been widely credited to some of the information Wikileaks published and the sheer consequences of Wikileaks support my prediction. Security is back in the spotlight particularly in the world of mobility, social media and cloud computing. I’m calling it a hit and I’m sure that Mr. Mubarak or the late Mr. Gaddafi would agree. In this prediction, I’ve argued that the content management vendors will follow in the footsteps of the consumer market where users have overwhelmingly embraced native apps in favor of web browser-based application. The vendors were expected to start developing apps and just like the consumer apps, the enterprise apps were expected to become more atomic - focused on a relatively narrow functionality or a single task. Well, most vendors started building apps and those apps are for the most part more narrowly focused but I have not seen the kind of atomic functionality yet I had in mind - apps focused on a specific task such as file travel expenses, or submit purchase requisition. I still believe that we are headed towards the “app-tastic” world as the OpenText CTO Eugene Roman likes to call it, but we are not quite there yet. I’d say this one is too soon to call and I give it half a point. This was a pretty straight forward prediction about social media following the Gartner hype-cycle model. As a result, we should have passed over the peak of inflated expectations towards the trough of disillusionment. This has happened in 2011. Not in the consumer world where Facebook and Twitter are still growing strong but it is happening in the enterprise. Many enterprises are learning that just because you’ve built a social site, it doesn’t mean that the employees are using it in ways that stimulate corporate effectiveness. The companies are learning that this is more about change management and corporate culture than about the technology. On the technology front, the vendors are not making any money on social software this year. Just check out the S1 filing from Jive which is supposedly the most successful of the social vendors. Sure, Jive has just gone public today and raised a ton of cash but their solution is already becoming obsolete. The customers who want on-premise social software can get it as a feature from their existing vendors (i.e. Salesforce or OpenText) and those who want it in the cloud get it for free from Yammer or Box. This prediction was about the expected success of case management and how it will differentiate from business process management (BPM). This was probably my least controversial prediction since case management was already happening at the time. And it continues happening with some vendors delivering separate product lines for BPM and for case management. My employer OpenText was probably the best proofpoint for this prediction coming true when we acquired a BPM vendor Metastorm first and a case management vendor Global 360 a few months later. Case management is catching on - not much argument here, I suppose. Next, I predicted a strong year for Web content management (WCM). The space has evolved in 2011 by changing its mission from just managing Web content to Web experience management (WEM), and most recently to customer experience management (CEM). I reasoned that this growth would be fueled by the pent up demand of marketing departments who didn’t have the budget for innovation during the recession. That’s very much what I have seen happening in 2011. Most WCM vendors in the space were doing well and even Oracle decided to jump in by acquiring FatWire. In addition, we have seen marketing departments emerge as a key buying audience for WCM software (and WEM and CEM) which is another proofpoint that I was right on this one. This prediction was arguing that while the cloud remains a hot trend and we will see a lot of adoption in the consumer space, enterprises won’t rush to the public cloud. Note that I was explicit about public cloud since I consider the adoption of a private cloud a no-brainer. Judging this prediction is a tough call. I believe that what happened in 2011 is that enterprise indeed didn’t rush to the public cloud but at the same time, enterprise users have done so. This is the effect of consumarisation and I see enterprises having to deal with this issue while accepting that you can’t stop the tidal wave. The users - their employees - are using cloud based services from Dropbox and Skydrive to Yammer. The enterprises - the enterprise IT and legal departments - are not happy with that and are looking for alternatives. This is a volatile situation and the data suggests that the corporate world is divided about 50:50 on this issue. Half of the companies want to be draconian and put the end to this while the other half is looking for a peaceful way to let the users decide without compromising enterprise security and legal concerns. This is perhaps another prediction that is too soon to call. Boy was I right on this one. Just consider some of the companies that were acquired in 2011: FatWire, Endeca, ATG, Iron Mountain (ECM assets), CA Technologies (ECM assets), Autonomy, Metastorm, Global 360, weComm, Operitel, Alterian, EchoSign, and many others. This was perhaps the busiest year the ECM market has ever seen. I wish I had predicted the power of consumerization back in January. That is the most glaring trend that happened in 2011 and I didn’t predict it. Consumerisation impacts mostly mobility which I had on my list but also includes the adoption of apps and cloud based services which I didn’t have on it. But, 8 out of 10 hits isn’t bad even if two of them were too early to call. What do you think? Of course you may see some of the results differently but that’s the beauty of qualitative predictions. If you do, please do comment. 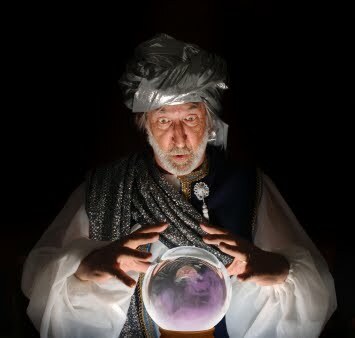 In the mean time, I will write my Content Management Predictions for 2012. Gotta disagree with your take on #3 and eDiscovery. I think organizations are just beginning to get a handle on the issues and the remedies for eDiscovery. It is going to take a few more years before organizations turn the eDiscovery fire drill into a business process. But... if you don't believe me... ask the President. Can Social Software Ever Replace Email?